The long-awaited first expansion pack to Fallout 4 has finally been shown off with a wizzy trailer. 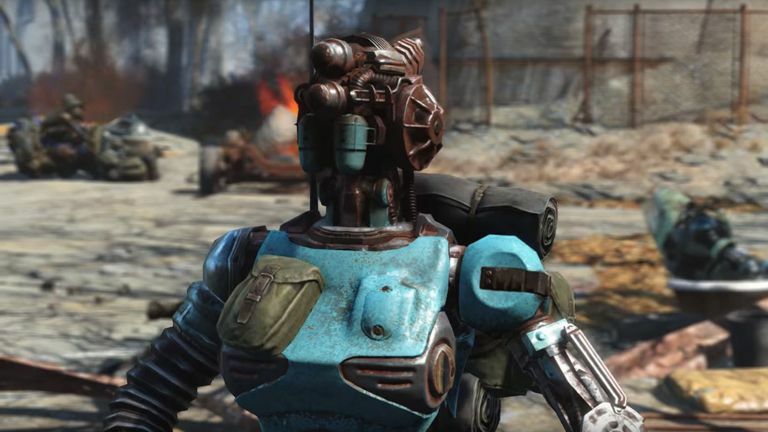 Named Automatron, the DLC will see you the player tasked with hunting down and taking out a horde of evil robots, which have been released throughout the Commonwealth by the Mechanist. Interestingly however, every time you take down one of these robots, you can then harvest its parts and proceed to build your very own robot, much like you could build your very own power armour. The Automatron DLC drops on March 22 too, so you only have about a week to wait until you can KILL ALL HUMANS!